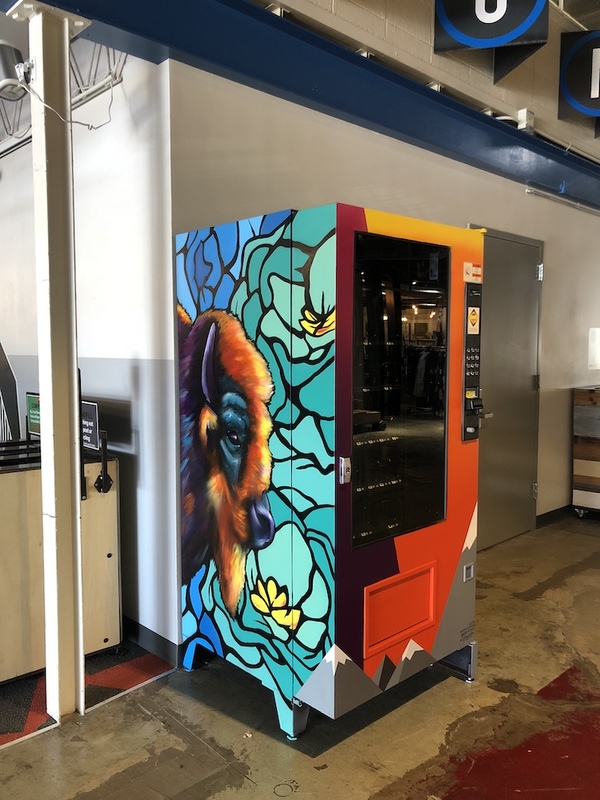 Pat Milbery and Pat McKinney transformed a normal, drab vending machine into a vibrant piece of art for women's boutique, Velvet Wolf in the Stanley Marketplace. 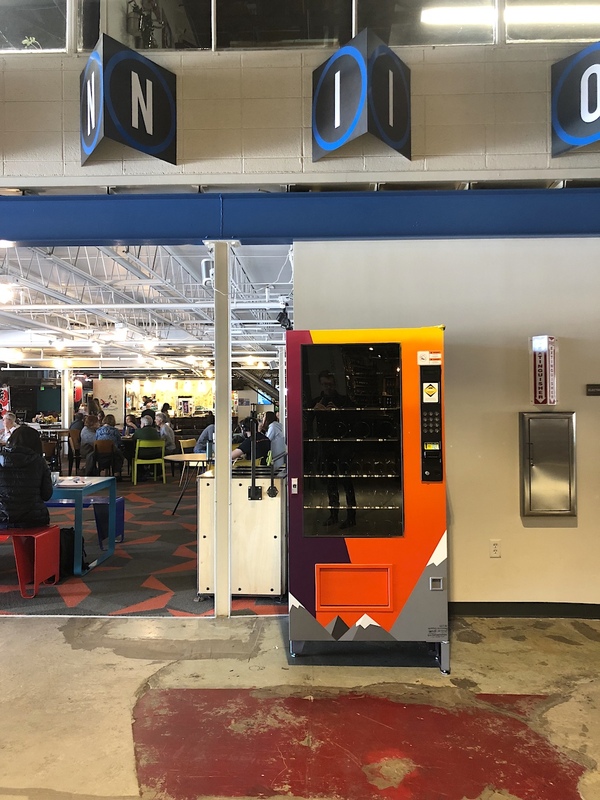 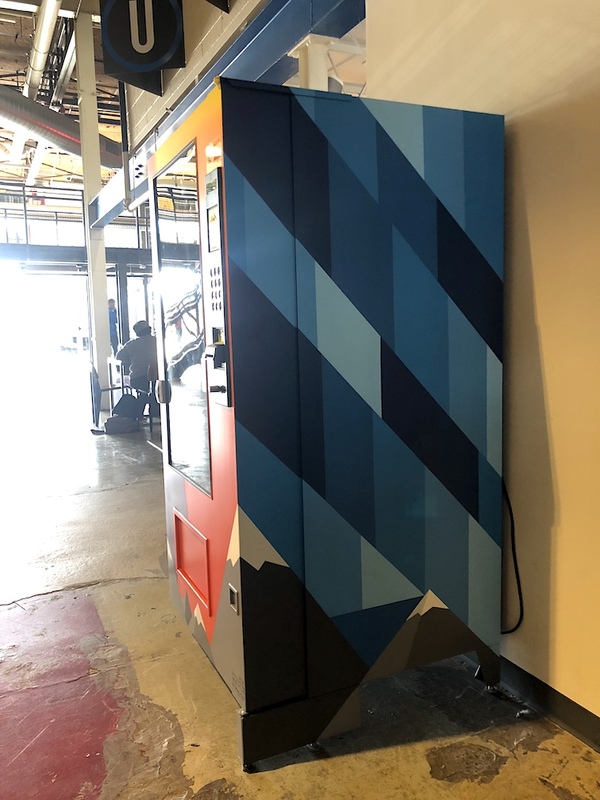 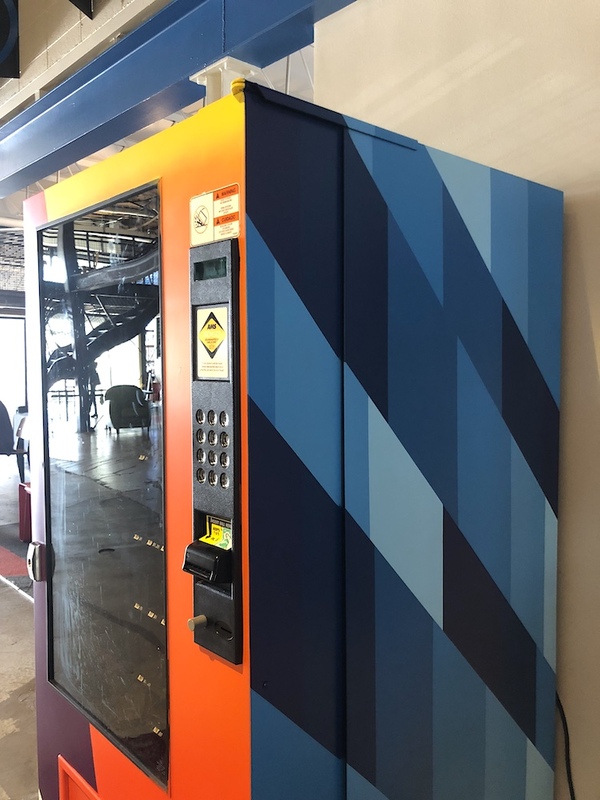 The new and improved vending machine lives in the common area of the marketplace and is filled with different kinds of Colorado souvenirs and goodies, helping to support local artists and makers. 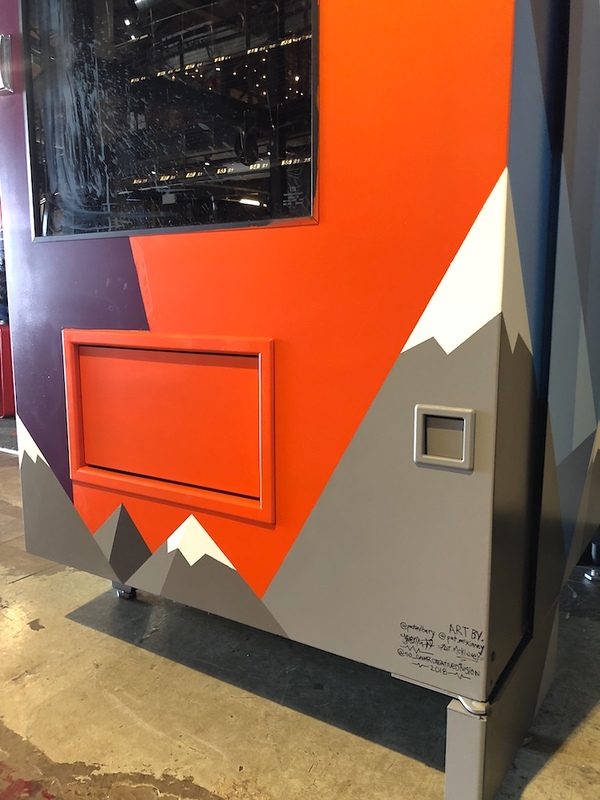 Designed and painted by Milbery and McKinney in October 2018.